“True change is not in adopting new practices. It is in applying age-old principles in the changing landscapes of life.“ Taking bold steps towards growth and success are the main themes behind our two featured titles – whether you are an individual or organisation, these books will help you discover, build and effect creative ideas. This week’s newsletter takes an unprecedented literary excursion into hitherto ‘uncharted’ territories – brand marketing and motivational ideas. The first book, The Right to Brand, asks the intriguing question: Do brands matter? Author Yasmin Merican argues that they are. Her book demonstrates how great brands not only capture market attention and imagination, they ﬂourish through continuous engagement and support. In a content-driven world where distinctiveness and reputation drive the success of countries, governments, companies, non-proﬁts and individuals, brands play a key role in establishing instantly-recognisable entities. As economies and businesses posture for international recognition, why have the proven advantages of brand building eluded the majority – when much is already known about the pervasive impact of brands? Contrary to popular perception, brand building is not just for the big and powerful. With the right knowledge and skills, more can run the same market races as the world’s most eminent and valuable brands. Through case studies and learning in an emerging market, The Right to Brand looks into the reasons behind the brand inertia. It asserts that when brands are not part of strategic thinking, brand values when created, tend to be accidental market triumphs, frequently lost without the anchor of business policy and leadership intent. The book examines the operational realities of emerging brands: what mind-sets have to change; what enabling structures have to be put into place; what skills to harness from within organisation and the brand ecosystem; and what hidden opportunities reside in brand advantage, not just in Malaysia, but also elsewhere. It offers a credible argument for better branding through new perspectives and approaches. The book is divided into five parts: method, design, execution, learning and expert interviews with ten leading practitioners in brand-related disciplines from Malaysia and around the region. Our second offering, Managing Yaa-hoos! – true accounts of unscrupulous conduct & the ‘nobodies’ who change things is described as ‘a book of revolutionary ideas’. Every revolution, so say authors Angela Yap and Ritchie Ramesh, began as inspired thoughts – Benjamin Franklin’s discovery of electricity, Bell’s telephone, Einstein’s Theory of Relativity, Capitalism, Socialism, fair trade, the internet, Facebook. “We may not see it, touch it or taste it … but our world was built on the bedrock of Ideas.“ And what better way to transmit these inspirational ideas than through the power of storytelling? Throughout history, storytellers possess the gift of awakening the sleeping gypsy within us. They have entertained us, challenged social conventions, questioned our assumptions and raised the conscience of all men. In China, they transformed tea houses into the ‘university of ordinary people’; the Islamic Suﬁs transmitted their knowledge solely through stories, in the absence of any book or written text; Indian storytelling has evolved into a distinct art with each region its own style. In West Africa, griots or singing storytellers, weave social issues with traditional melodies; from South America to Australia, indigenous people conveyed their stories through art on cave paintings. Though they sit low on the social scale, storytellers hold the mirror to show society its true face. The authors hope that their book, with its own brand of storytelling, does justice to that great tradition. 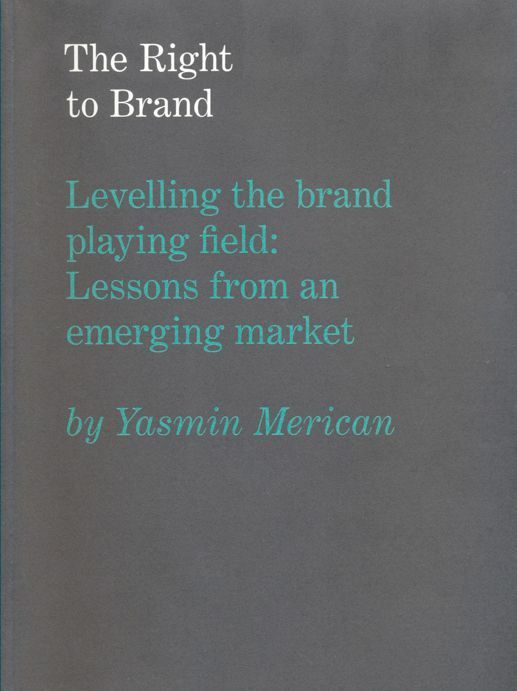 About the authors: Yasmin Merican is the founder and CEO of Trax Associates, a brand consulting company focused on emerging brand issues and solutions. After a short stint as a freelance brand consultant, Yasmin joined the Malaysian partnership of Ernst & Young where she was later seconded to the ﬁrm‘s international consulting practice in the Asia Paciﬁc region. As country leader for the petroleum and telecommunications industries, and also the customer and knowledge management solution teams, Yasmin worked with numerous local and international organisations in business process improvement and integration. She served on the board of the Malaysian Productivity Corporation (2008-2012) and was a member of the country‘s ﬁrst National Brand Task Force between 2006 and 2007. Angela Yap is an award-winning Social Entrepreneur, Author, Columnist, Ghost Writer and Performance Coach. She worked at the United Nations Development Programme (UNDP) and is co-author of Cities, Citizens & Civilisations and Answering Is An Art. She is the founder of Akasaa, a social enterprise which also published her book. Ritchie Ramesh is the Creative Director behind books such as Spirit of Borneo: Martin & Osa Johnson’s Journey 1920 & 1935.